About 12% of the Indian population present with a thyroid nodule to the surgeon, who is then faced with a clinical dilemma if the fine needle aspiration cytology (FNAC) is inconclusive or indeterminate, and the ultrasonogram of the neck is also not contributory. The extent of surgery and the need for a second surgery always weighs on the mind of the surgeon and the patient. We attempt, in our study, to identify a few pathological features in a hemithyroidectomy specimen which would predict the occurrence of malignancy in the opposite lobe. To determine the pathologic predictors of malignancy in the contralateral thyroid lobe, in patients of differentiated thyroid cancer (DTC) who underwent hemithyroidectomy. 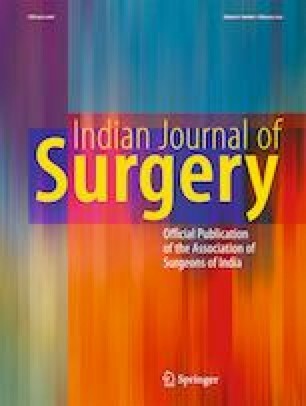 A retrospective review of the case records of all patients who underwent thyroid surgery in our Institute between January 2010 and December 2014 was undertaken. Various pathologic parameters were analyzed with respect to their predictive power regarding the occurrence of malignancy in the opposite lobe. Three hundred eighty-nine patients underwent thyroid surgery during the above period, of which 91 patients underwent completion thyroidectomy, as they were found to have malignancy in the hemithyroidectomy specimen. The effect of age, gender, and tumor size on bilaterality could not be established statistically. Other variables such as perithyroidal spread and perineural invasion also did not demonstrate statistical significance. Multifocality of the tumor in the hemithyroidectomy specimen, lymphovascular invasion, and capsular invasion were the pathologically significant factors determining the presence of malignancy in the contralateral lobe. Multifocality, lymphovascular invasion, and capsular invasion can be used as additional markers to decide on performing a completion thyroidectomy in a patient of differentiated thyroid cancer.